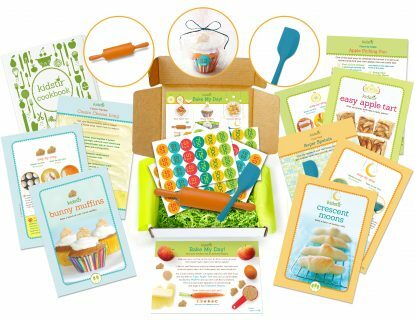 Turn your kitchen into an at-home bakery! Grab your apron and turn up the oven. 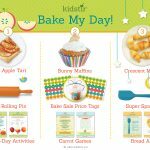 It’s time to serve up some fresh-baked treats made in your kitchen! 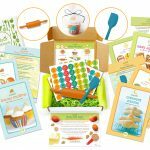 In this kit, you’ll find three recipes for homemade goodies. 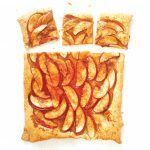 You’ll also learn all about apples, play a fun foodie game, and make dough art. 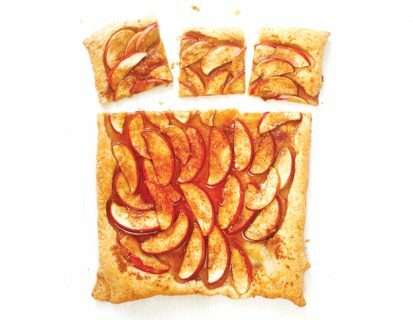 For a quick and fancy dessert, make an Easy Apple Tart with your new Mini Rolling Pin. 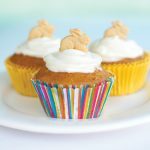 Hosting a bake sale? 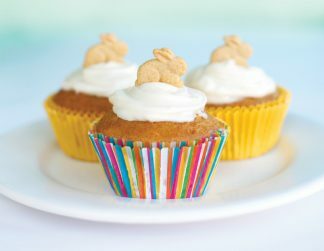 Make yummy Bunny Muffins and add Bake Sale Price Tags. 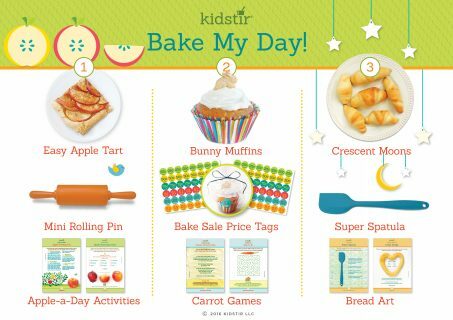 Then, use your Super Spatula to mix bread dough and shape it into Crescent Moons. Now come and get ’em!